The new Northern Ireland Secretary has stated her determination to overcome the challenges at the heart of the powersharing crisis and restore devolved government at Stormont. 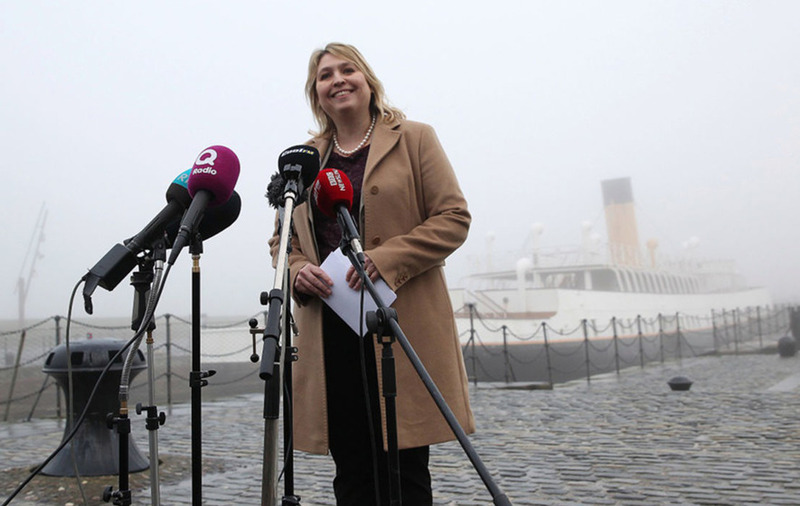 On her first visit to Belfast, Karen Bradley said she wanted to work collaboratively with local parties to forge an agreement that will see a coalition executive resurrected. 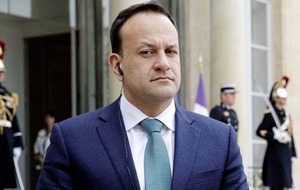 Her appointment to the role, following James Brokenshire's surprise resignation on health grounds, came as Northern Ireland marked a year since the DUP/Sinn Féin-led administration imploded in a row over a botched green energy scheme. The rift between the two main parties has widened in the intervening 12 months to take in long-standing cultural and legacy disputes. The prospects of a deal to restore powersharing still appear bleak, with the spectre of a return to Westminster direct rule looming large. Mrs Bradley met students at Belfast's Metropolitan College in the city's regenerated docklands area on her first official engagement in the region. 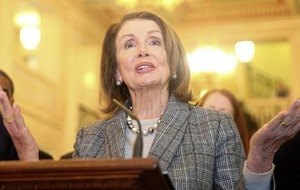 Her schedule on Wednesday also included face-to-face meetings with the leaders of the DUP and Sinn Féin. "I want to find a way through this because the absolute priority is to restore devolved government as soon as possible," she said, standing on the Titanic Quarter's fog-shrouded waterfront. Asked if she intended to adopt a new approach to the faltering negotiation process, Mrs Bradley stressed she was still in learning mode. "I am here to learn, I am here to find out, I am here to meet all the leaders, I'm here to look at what needs to be done. "I know there are challenges but I am determined we will find a way through those challenges. "We need to deliver devolved government to Northern Ireland as soon as possible and that's what I am determined to do." The Conservative MP said she was also conscious of the need to deliver a Brexit that worked for everyone in Northern Ireland. Mrs Bradley said she understood the importance of dealing with the legacy of the Troubles and ensuring a safe future. "My aim is to work collaboratively to find solutions to those issues that are acceptable to everyone," she said. The former culture secretary said the Irish government would have an "important role" to play in efforts to save devolution. She is due to meet the Republic's Tánaiste and minister for foreign affairs Simon Coveney on Friday. After meeting Mrs Bradley at Stormont House, DUP leader Arlene Foster said the "clock was ticking" for a deal. Noting that a Stormont budget for the next financial year needed to be set, she said any new talks process had to be "short, meaningful and substantive". Mrs Foster said if new negotiations failed to deliver a breakthrough then Mrs Bradley had to move to put direct rule ministers in place. "The clock is ticking in relation to the government of Northern Ireland, we haven't had a government now for over a year," she said. "I think she's (Mrs Bradley) heard directly today from people that they want to see government back here and if it's not going to be a devolved administration then it will have to be some sort of an administration direct from Westminster. "Of course we don't want that - we want devolution, but we can't continue without a government here in Northern Ireland. So time is short and the clock is ticking." Sinn Fein's Stormont leader Michelle O'Neill had been due to meet Mrs Bradley in person on Wednesday. Plans were however changed and a phone call was instead arranged between the two politicians, with the meeting put back to next week. Mrs Foster claimed the reschedule was linked to criticism the republican party has received since one of its MPs posed with a Kingsmill branded loaf on his head on the anniversary of the 1976 Kingsmill massacre last Friday. Abstentionist West Tyrone MP Barry McElduff, who apologised and insisted his social media video was not a reference to the 10 sectarian murders at Kingsmill, has been suspended by Sinn Fein for three months. Asked for her reaction to the postponement of the meeting between Mrs Bradley and Mrs O'Neill, the DUP leader said: "It's another indication that all is not well in Sinn Féin and they are a party in disarray at present." 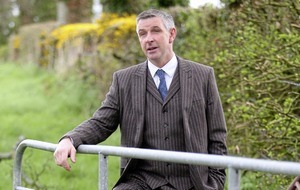 A Sinn Féin spokesman said the meeting had not gone ahead due to clashing diary commitments. He branded Mrs Foster's claim as "nonsense". "Arlene Foster might be better focusing on the denial of rights that people enjoy everywhere else on these islands," he added.